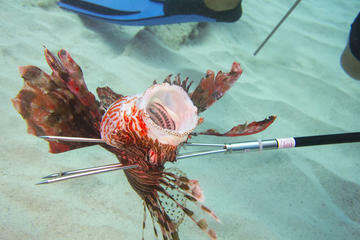 Must see Maui sounds silly right? As if any place on the island of Maui isn't gorgeous. Everyone knows that Maui's beautiful. There’s simply no denying it. And no matter how many adjectives I use, there’s not much value I can add to Maui’s brand. You either want to visit or you don’t. 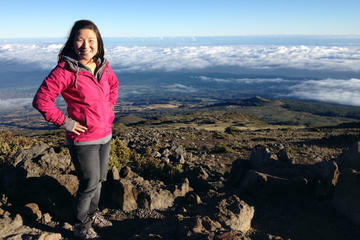 I'm here to tell you about the must-see Maui towns worth visiting! Destinations in Maui are primarily centered around beaches and points of interest. But Maui attractions are not the only thing worth seeing on your visit. Maui has a fair number of small towns worth visiting to better understand the culture of the island. 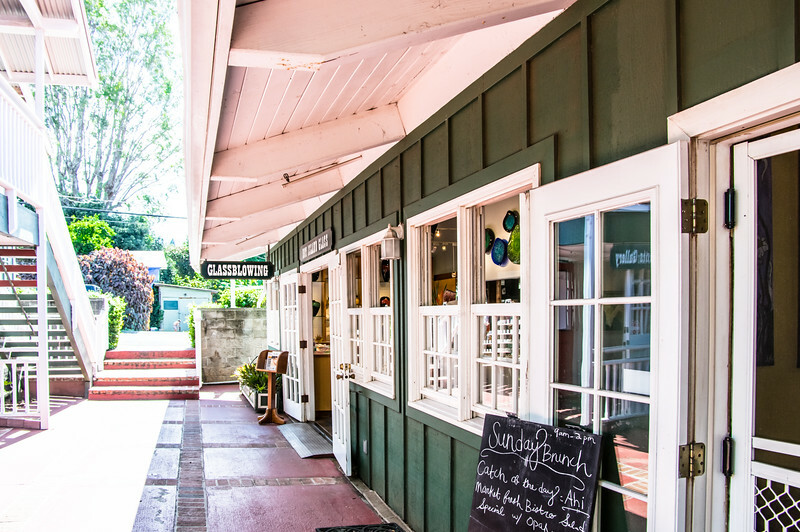 While there aren't a lot of streets to explore, architecture to admire, or commercial centers, the Maui towns on this list are great examples of the quiet Hawaiian culture that makes Maui so charming. Simply put, the island of Maui is simple but in the best possible way. We started planning our trip to Maui well in advance because knew we'd have to squeeze in all the best things to do in Maui. We had only four days to sightsee and relax, which is a pretty tall order. So we snatched up our Maui travel guide from Lonely Planet and got to work planning our dream trip to Maui. Because of our excellent planning, we managed to see quite a bit of the small island. Our rental was put to good use, that's for sure! 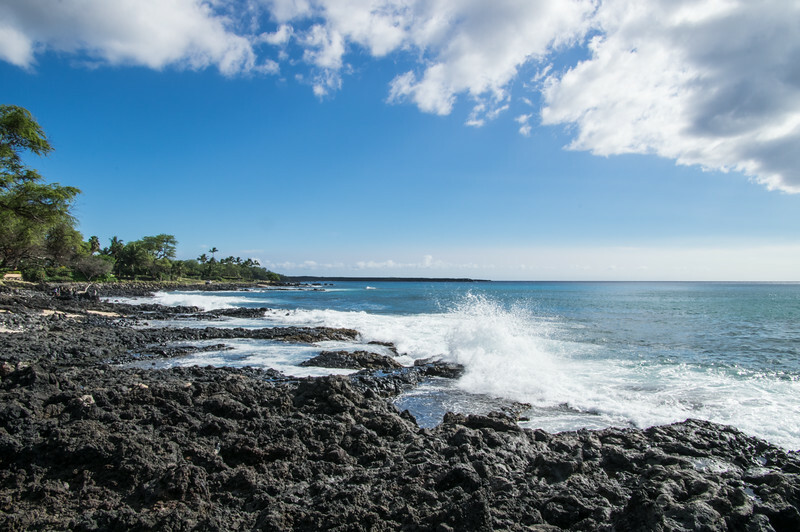 We primarily explored the north and west coasts in search of Maui towns worth exploring. But we also ventured inland to some of the high-country Maui towns in search of different terrain and tastes. Below is a list of cute little Maui towns that are sure to charm you, along with tips and photos for each. While this list isn't comprehensive, it covers the best of the west, north and central parts of the island. Check it out! 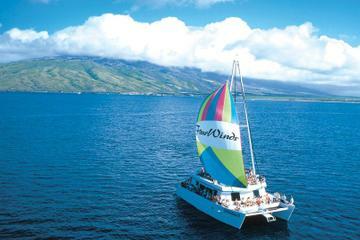 One of the oldest settlements on the island, Lahaina is full of history and old-town charm. That's why it's the #1 Maui Town worth visiting. 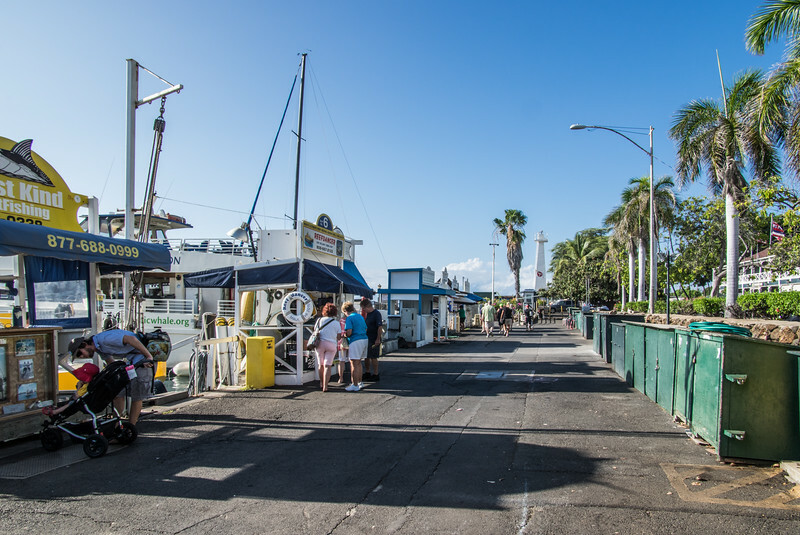 Once the primary whaling town of the Pacific, Lahaina’s port still bustles with tours boats eager to take visitors for fishing expeditions and sunset cruises. Adjacent to the port is the city square, which houses the Old Lahaina Courthouse and Banyan Tree Court. This incredible tree looks more like a creature than immobile vegetation. 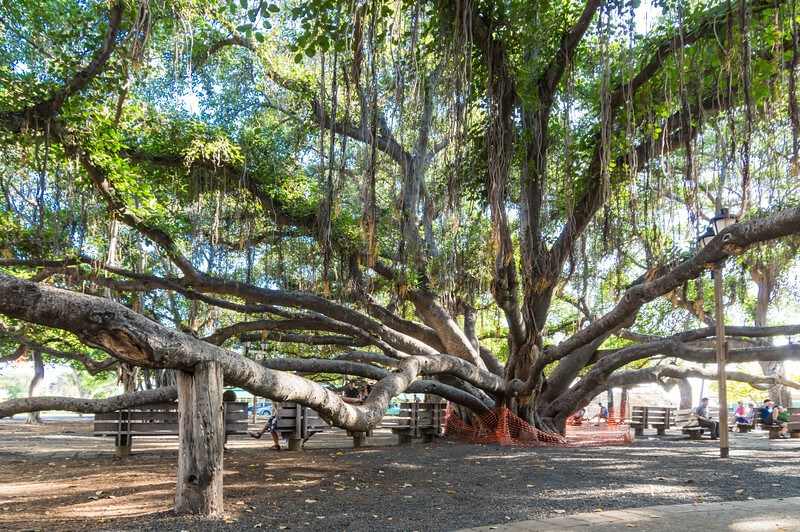 You'll find plenty of tourists and locals enjoying the shade of the giant tree. It's the perfect selfie spot and most definitely one of the must-see Maui attractions. 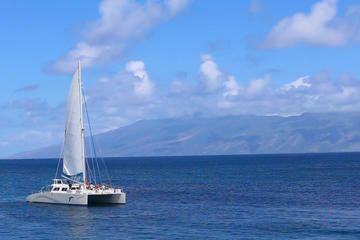 Lahaina is a great place to use as home base for your Maui vacation. There's plenty to do and see, along with an abundance of restaurants and cafes. Some of the best Lahaina activities include kayak tours, dolphin-spotting excursions, sunset cruises, horseback rides, traditional luaus, and more. It's safe to say I fell hard for Pa'ia. From the moment we drove into this sweet little town I was in love. Pa'ia most definitely tops my list of must-see Maui. With a quaint main street full of shops, Pa’ia is exactly what I pictured when I imagined Maui towns. It reminded me of Oahu’s North Shore in many ways. Sunburned surfers walking the streets with their boards, and dread-locked hippies hitching a ride to Hana. Pa'ia offers some the most original cuisine in Maui, with many places offering vegetarian-friendly fare. 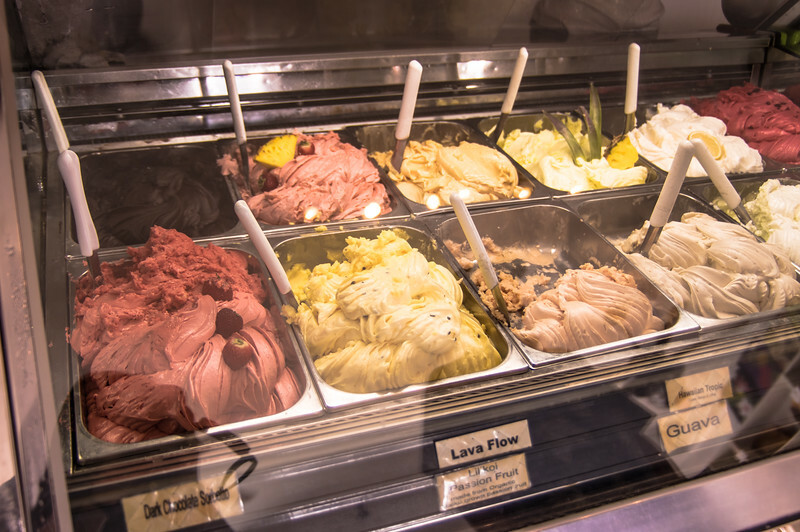 Pa'ia is home to Pa'ia Gelato, which serves up intense and oh-so-tasty local flavors. 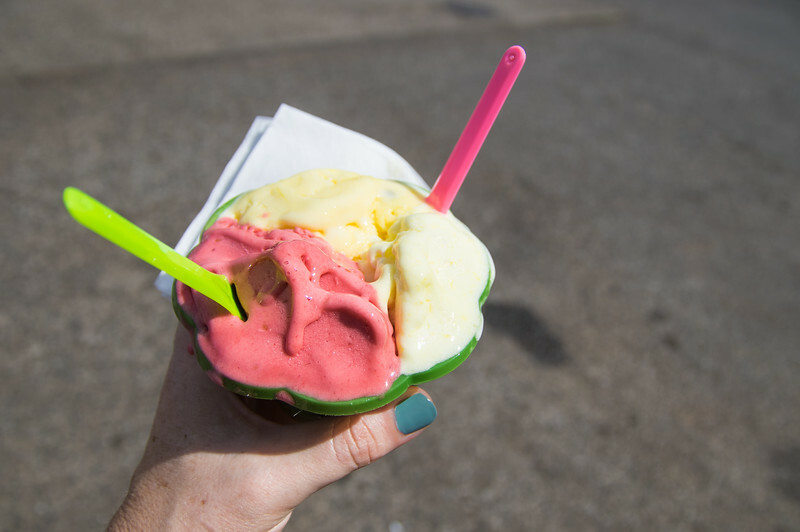 You can't go wrong with the Lilikoi flavor, or yellow passion fruit. Don't be afraid to ask for a taste, too! 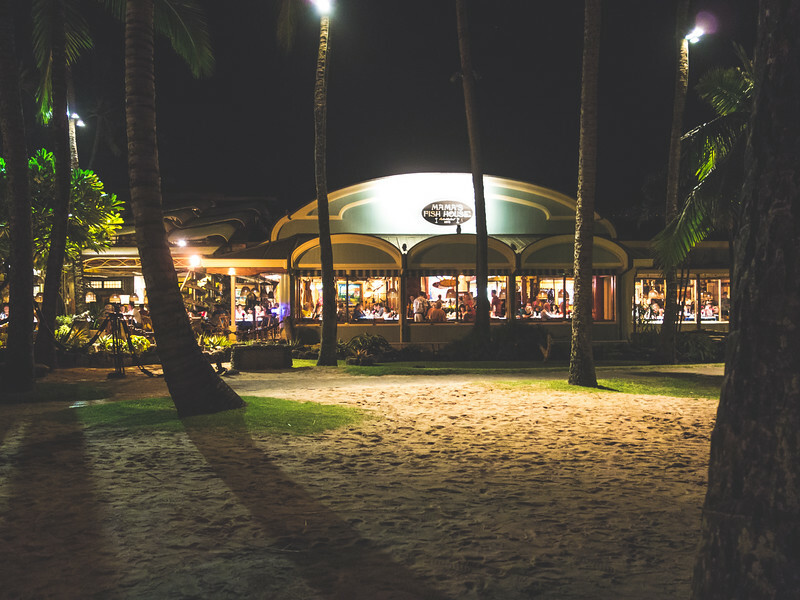 Also in Pa'ia, Mama's Fish House is the ideal setting for any celebratory dinner. We enjoyed every second of our anniversary dinner thanks to the excellent service and special attention from all the staff. Our meal consisted of local delicacies and traditional Hawaiian fare unlike any other I've tasted. For those of you looking to splurge a little, this restaurant should definitely be on your list of places to eat in Maui. Pa’ia is the perfect place (and maybe only place) to fuel up before setting off on the road to Hana, so be sure you stop for provisions and gas. Better yet, let Viator do the driving for you! 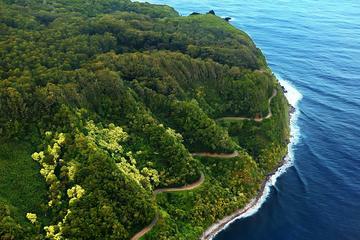 Enjoy an amazing journey of a lifetime to “Heavenly” Hana Town! This all-day tour will take you full-circle around the beautiful windward region of the “Magic Isle.” Sit back, relax and enjoy the view from our comfortable air-conditioned mini coaches. 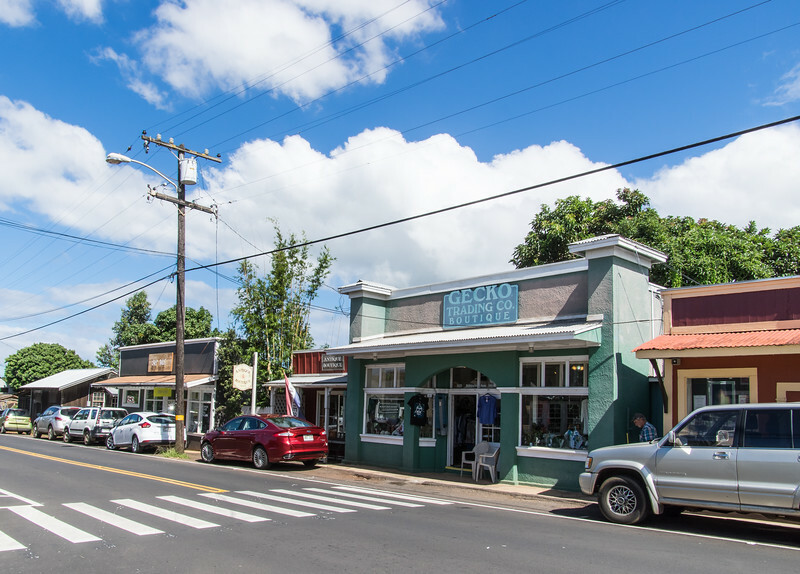 This historic town is nestled just inland in Northwestern Maui. It’s home to several must-see Maui attractions for history and culture buffs. 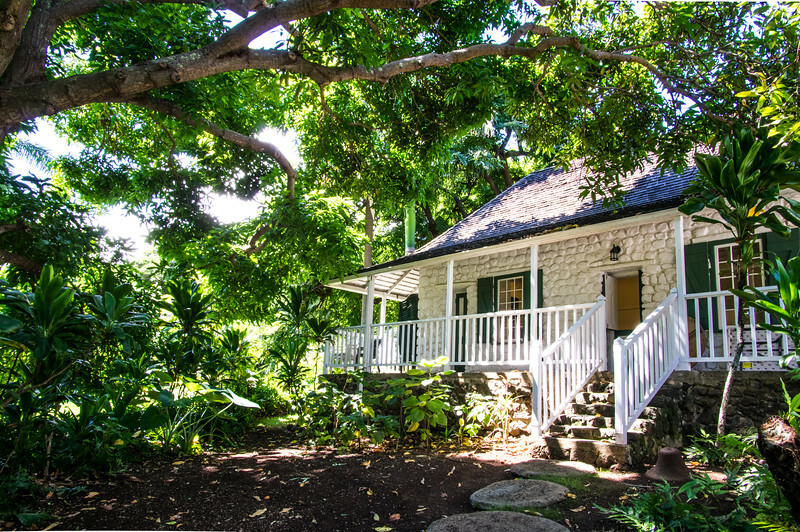 Don’t miss the wonderful Bailey House Museum for an authentic look at turn-of-the-century architecture in Maui. Full of artifacts, the small museum provides insight into what the native peoples of Maui valued and fought to preserve when white settlers came. 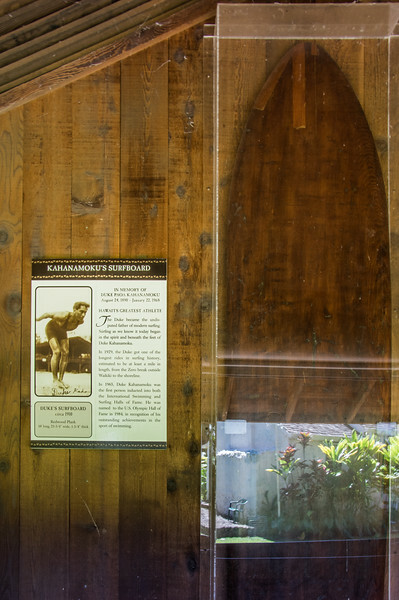 Duke's surfboard is one of many cultural attractions at the Bailey House Museum. Just down the road is the Iao Needle, one of the most popular Maui attractions. 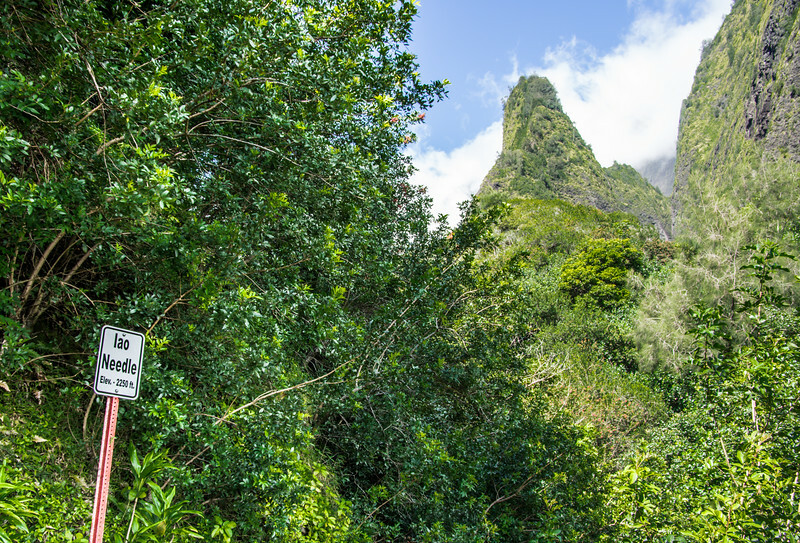 As described in our Maui travel guide, the brief “hike” through the park provides you with some great views of sweeping vistas of the Iao Valley and the Needle itself. 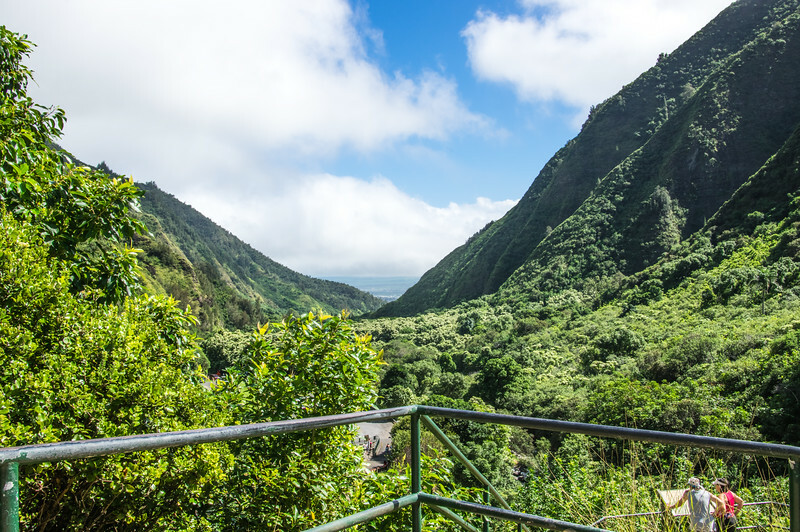 Although the trail is not exactly what we'd envisioned, the Iao Needle makes the must-see Maui list because of the undeniable natural beauty of this historic place. A shopper’s paradise, Makena offers tourists and travelers a taste of the high-life. Full of luxury resorts and high-end shops, it’s sure to please anyone looking to spend some cash while vacationing. 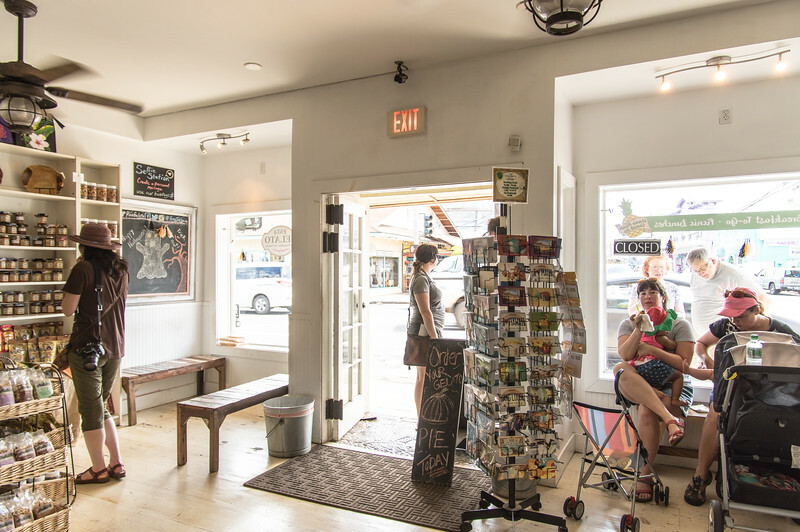 But unlike other Maui towns, Makena is full of high-end and chain retail shops. So, don't go looking for souvenirs here! Makena is perfect for beach lovers and anyone wanting an up-close-and-personal experience with sea turtles. Many snorkeling, diving, and kayaking tours use Makena's beaches as a starting point. You'll be able to find standup paddleboard lessons, an eco tour of Turtle Town, or a whale-watching adventure from Makena with ease. 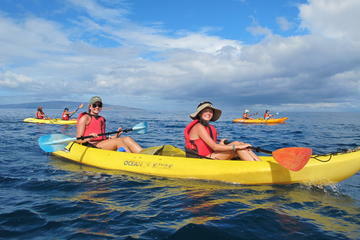 Kayak and snorkel with turtles and fish on Maui! Fabulous kayaking and snorkeling in turtle town on the south side of Maui near Wailea. More snorkeling and more paddling on this 4 hour tour, ages 10 and up. Wailea/Makena makes the list of must-see Maui towns primarily because of the beautiful beaches. We stayed at a beach-front resort (now permanently closed) with private access to the pristine Malu'aka Beach just south of Makena Bay. For a similar experience, head to Makena State Park, home to the most popular public beach on the island: Big Beach. Although the sands were perfect, the swell was too rough for us. So, we opted to drive further south to visit Ahihi-Kinau Natural Area Reserve, the beautiful black lava beaches along the southern-most tip of West Maui. Known mostly for the Kahului International Airport, Kahului is the heartbeat of Maui's commercial industry. It's also a great place to please your palate. This coastal city is full of highly recommended eateries, like Tom’s Mini-Mart, Tasaka Guri-Guri, and Da Kitchen just to name a few. Unfortunately, we didn't get a chance to try any of these, but maybe next time! For folks taking an extended trip to Maui, this is where you want to stock up on food and supplies for your condo rental! One unique shopping experience that some may appreciate is the Fabric Mart, a wholesale market for Hawaiian print fabrics. Or, better yet, check out the Maui Swap Meet on Saturdays to get local crafts and foods straight from the source. Kahului may not be the prettiest of the Maui towns we visited, but we found it useful for starting our Kahekili Highway drive. The shores of Kahului offer some of the most picturesque views in all of Maui. Home to most of the independent condo rentals on the island, this small town seemed to be the most residential and the most populated. 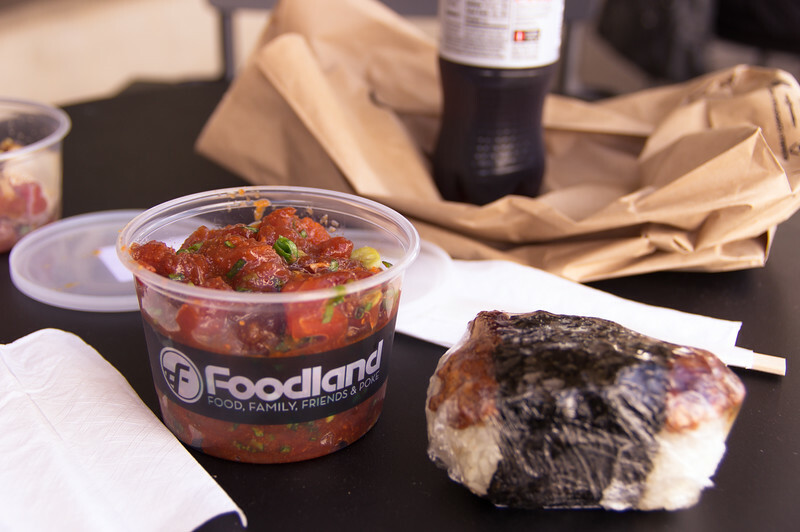 It offered some great dining options and a great Foodland grocery, home of the best poke around! 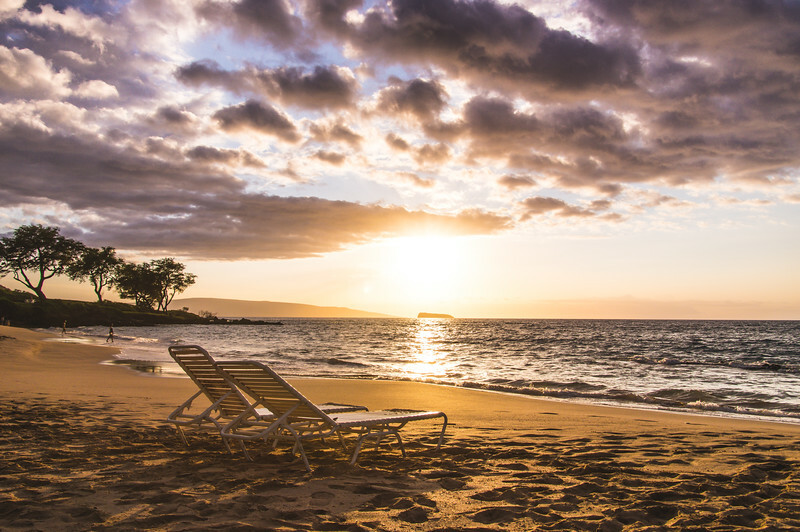 What makes Kihei one of the Maui towns worth visiting are the public beaches. It's the perfect place for families to stay thanks to the many vacation rentals. And with easy access to surfboard rentals, surfing lessons, and stand-up paddleboard rentals, Kihei is a great example of why Maui is a vacation destination. For people into water sports, this might be the perfect destination. A quick exchange of coin and you're off to the beach to have some fun. We found ourselves in Kihei quite a lot during our short stay, as it was the closest place to our resort that offered locally owned dining options. We enjoyed some local fare, some better than others. Overall I'd say we enjoyed the atmosphere of Kihei much more than other parts of the island. It was laid-back, relaxed and family-friendly. 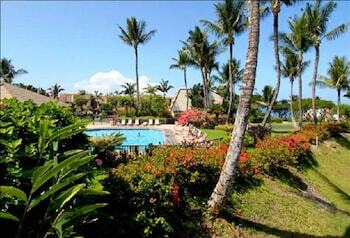 Check out these Kihei Lodgings! Nestled in the highlands of Maui, this artsy residential town is surrounded by farmland, making the drive unbelievably scenic. Once you're there you can't help but get sucked into the creative atmosphere and the great gift shops. 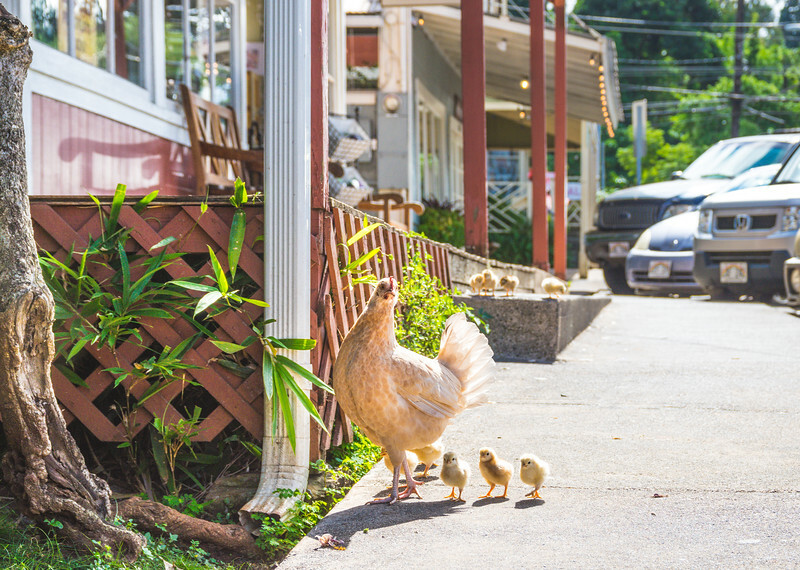 Makawao seems to be the creative heart of Maui, with shops full of arts and crafts. The local restaurants serve locally-sourced meals inspired by the beautiful countryside surrounding. Enlightened living is the theme in this small town; it's home to an abundance of hypnotherapists and a local labyrinth walk. Nature is the center of attention in this part of Maui, and Makawao hosts several Maui attractions which showcase the natural beauty of the island. 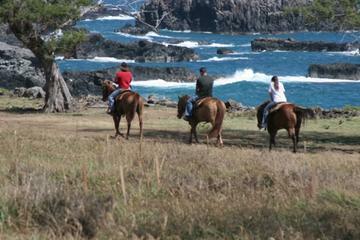 Ziplining, sunrise bike tours, farm tours, and nature trails can all be found in Makawao. When leaving Makawao be sure to stop at the Pukalani Foodland for more poke on your way back to your lodgings! I know I may ruffle some feathers here, but Ka'anapali seemed banal. Apart from the sparkling resorts and pristine golf course, it didn't have much character. The beaches are supposedly spectacular, but we didn't want to stick around long enough to find out! Known for the manicured lawns and campy bungalows of the Ritz-Carlton Kapalua resort, this area also seemed to lack any real charm or character. It seemed like a great place to stay if you want schedules to follow and an abundance of activities provided that you have the dough to spend. We did stop by the Honolua Store for some tasty spam masubi after our drive along the Kahekili Hwy, but we promptly left once the last bite was gone. Maui sounds great and so different from Oahu. We’ve never been to any part of Hawaii so you’ve sold me on Maui being the first stop. Yes, Maui and Oahu are super different. I’m working on a follow up post about that very thing. Stay tuned! I had a vague memory of hearing the name of this place. My friend had visited Hawaii long time back and I think it was this place she went to… Living on the other side of the planet, this is great to know..
Isn’t it funny how huge the world can seem even though the Web connects us all! It’s hard to keep up with all the wonderful places sometimes. I loved Lahaina! It was one of my favorite spots! You would love it if you like history. I can only imagine how beautiful New Zealand is! I hope to see it someday to make my own comparison! You are right. It is a challenge to make a list of must see places, when everything about the place is so beautiful. Making this list was super tough. I just had to give my 2 cents about some of the spots that we saw. I would have been really upset if I had booked our lodgings in those area. They just weren’t what we were looking for. I have to admit that I have never been to Hawaii. It used to be on top of my bucket list and I always dreamt of going on my honeymoon to Hawaii (I’m from Germany). After living in California and going to about 5 weddings, where every couple went to Hawaii, it lost a bit of its allure, to say the least. Your pictures bring back the desire to go though! It’s easy for destinations to slip by, but don’t let this one get away. Hawaii is paradise. Truly! You are most welcome Loren! Heading to Maui in February 2017 for 2 weeks. Like all the places you mentioned. Plan to get the most out of our rental car. Staying in a condo in Kihei. Plan on shopping for local fish and grilling a lot. I love to cook, but have checked out the local hot spots for some lunches and dinners😊. Can’t wait. Celebrating 35 years of marriage. No kids and cash to spend. OMG Ann that sounds amazing! We went to celebrate our 7th anniversary and the one thing that I will HIGHLY recommend to make your trip extra special: splurge on dinner at Mama’s Fish House in Paia! Make a reservation and let them know it’s your anniversary. They treated us sooooo well and made our dinner extra special. Have so much fun!!!! !